What are the Benefits of Tooth Implants? Am I a Candidate for Implant Dentistry? Hello! I’m Dr. James Geren of Mt. Vernon Center for Dentistry in Alexandria. I have been practicing cosmetic and family dentistry for over 20 years. Dentistry is a challenging and fascinating profession; dentists must have diagnostic skills, dexterity, extensive scientific knowledge, and good visual memory. Dentistry also requires artistic ability. In addition to the technical aspects of dentistry, I really enjoy interacting with my Alexandria dental patients. I recognize that my clients have other choices in Alexandria area dental practices, and I work continually to earn their trust and surpass their expectations. Each Alexandria dentistry client is unique. Many of my patients come in twice-yearly for an exam and cleaning. We help them maintain excellent oral health. 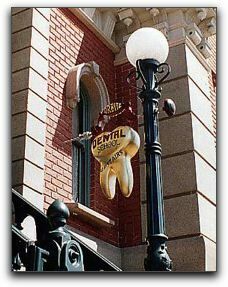 Some Alexandria dentistry clients come to me seeking major restorative dentistry. It is extremely gratifying to complete a smile makeover and see the client’s reaction when they see the result for the first time. When I have a pre-treatment consultation with a new Alexandria cosmetic dentistry client, it is very informative for both of us. The patient learns the specifics about the possible procedures and I learn about the clients’ goals, concerns and expectations. Then I work with the client to develop a dental treatment plan that fits the patient’s needs, desired outcome and budget. My dental practice is located at 8101 Hinson Farm Rd Ste 114 in Alexandria. If you are looking for an experienced dentist in the Alexandria area, call 703-360-5881 to schedule a consultation. I look forward to meeting with you. Alexandria dentists Dr. James Geren and Dr. Zeyad Mady of Mt. Vernon Center for Dentistry provide exceptional cosmetic dentistry, dental implants, sedation dentistry, family dentistry and more for the Alexandria and Mount Vernon, VA area including the communities of Old Town, Woodbridge, Newington, Franconia, Rose Hill, Lorton, Huntington, Fort Belvoir and Groveton, Virginia. How Do I Get Dental Implants?